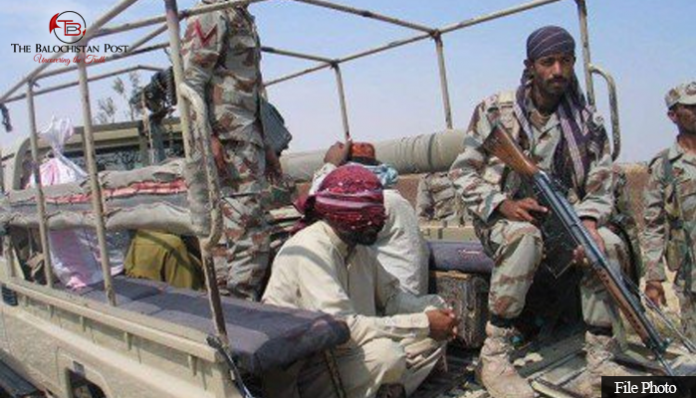 Seven persons abducted in security forces raids in Awaran district of Balochistan. According to details received by The Balochistan Post, security forces have forcefully abducted seven more men from different areas of Awaran district. As per the locals, seven persons have been forcefully disappeared during the raids conducted by Pakistani forces in several areas of district Awaran. Three missing persons from Peerandar areas of Awaran have been identified as, Barkat s/o Qadir Bakhsh, Ilahi Bakhsh s/o Sahib Dad and Qadir Bakhsh. Whereas four more abductees from Jhao area of Awaran have been identified as, Kareem Jan s/o Allah Dad, Phullan s/o Allah Dad, Asadullah s/o Pasund and Kareem s/o Khuda Bakhsh. Fifteen persons have been reported missing in military operations launched in Kech and Awaran districts of Balochistan in Past two days.